View More In Swing Jazz. 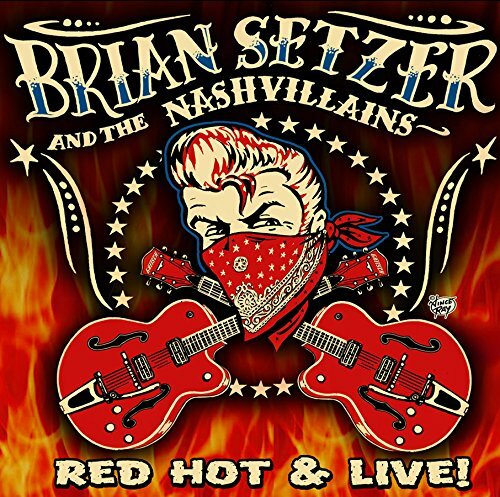 From his most recent sold out tour of Japan, this release features some of Setzer's most searing guitar work to date. Includes his biggest hits ("Rock This Town", "Stray Cat Strut", and more) alongside songs from his recent "Rockabilly Riot" and "13", all with a new energy that could only be captured in a live setting among his most rabid fans in the world. Adding a piano player and second guitarist to the line-up presented an opportunity to take some of his Stray Cats classics and solo hits into fresh territory. A must have for any Setzer fan. If you have any questions about this product by Surfdog, contact us by completing and submitting the form below. If you are looking for a specif part number, please include it with your message.